Forget about Rice-A-Roni. The real San Francisco treat this week can be found in the Mission at the Roxie Theater where they are celebrating upcoming opening of Wes Anderson’s latest confection (a word entirely appropriate to this particular movie) The Grand Budapest Hotel with a 35mm retrospective of Wes Anderson’s finest. 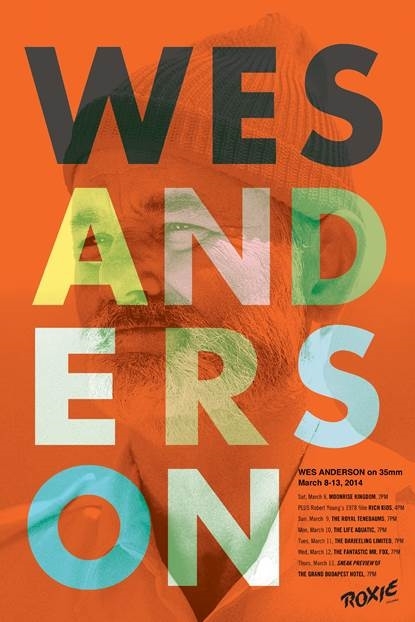 Even better: Buy a ticket to any of the shows to enroll automatically in the Zissou Society, the perk of membership being a special sneak preview of what the Roxie is calling “a very exciting new movie” (read between the lines, people) on Thursday, March 13. Thursday, March 13: The delectable surprise sneak preview for Zissou Society members. A hint: It involves Wes Anderson. (Presented in DCP), 7pm. For tickets and further information, visit http://www.roxie.com.